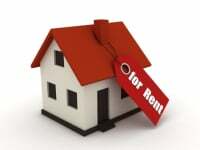 To qualify, your income must be at least three times the monthly rent. You will need current proof of income. In order for your application to be approved, you must have some type of credit history. Your credit report must be acceptable, credit reports with any type of utility bill in collection (gas, electric, water, & sewer) are not approved. Apartment rental property in collection on credit report will not be approved. Applicant will be given the opportunity to pay any outstanding bill. No pets are allowed on property.